I am delighted to introduce you to Amber Robidou, athlete and entrepreneur and mom of a child with a rare medical condition. Amber is married to Austin and has two children: three-year-old Ethan and two-year-old Jordan. Amber describes herself as a very goal-oriented achiever. Before she had children, she was training to become an Olympic rower and had qualified for the Boston nationals in 2014. Two weeks later, she wasn’t feeling well and found out that she was pregnant. This hadn’t been her plan, but after she had Ethan, she went back to rowing as soon as possible. She was working on getting back into shape while raising baby Ethan when, six months after giving birth, she discovered she was pregnant again. 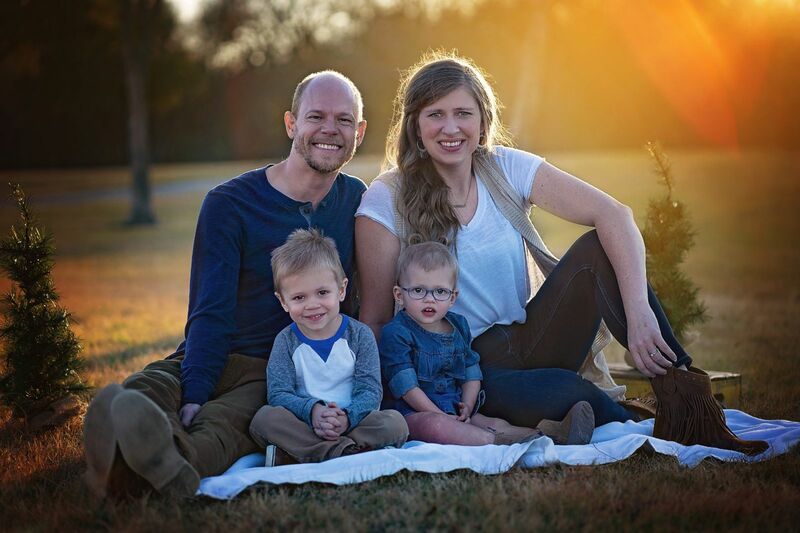 The transition to motherhood was difficult at first because in addition to giving up her dream to become an Olympic athlete, Amber could no longer work in full-time ministry. Jordan’s medical condition made it too difficult to work full time, so Amber says that she went from “making lessons to making lunches.” She struggled with the lack of the affirmation she craved in her new role as a stay-at-home mom of two very young children. Some days, she longs for community and feels lonely, but she says that God has filled the emptiness she felt. While she was in ministry, she says she knew she was walking a fine line — she was doing just enough to lead but wasn’t actually receiving and allowing God to equip, change, and fill her. Now, she has the gift of a deeper relationship with the Lord because she has more time to read and study His word. Jordan’s medical condition is called Parks Weber Syndrome (PWS) . It is a genetic condition that has caused Jordan’s leg to have an overabundance of vascular malformations. For every one place that most people have an artery and vein, Jordan has about 200 of them entangled together. These entanglements are called arteriovenous malformations (AVMs). This leads to lymphedema, which causes the affected leg to be much bigger than her other leg. Jordan’s heart has to work especially hard due to the extra blood flow and is she at risk for a heart condition. She has a few spots on her brain, one inside of her spinal cord, and could have AVMs in other parts of her body. Despite these complications, Amber describes Jordan as a normal two year old little girl who is active and won’t let anything hold her back. Amber has talked to others with PWS who say that the condition becomes much more apparent during adolescence. One of the practical, everyday challenges in caring for a growing toddler with PWS is finding shoes to fit her. Jordan’s affected foot requires shoes that are about five sizes larger than her other foot. Because one foot requires shoes from the baby section and the other foot fits into shoes from the toddler section, Amber has had a difficult time finding matching pairs of shoes to buy in different sizes. The frustration of the expense and inconvenience of this problem has led to Amber’s new business idea. She decided to start making shoes for Jordan and other children who have similar needs. After her children to go bed in the evening, Amber works on making prototypes of shoes. She plans to launch Jo Jo Shoe Company at the beginning of January. She wants to provide shoes that are adjustable and stylish without being outrageously expensive. Amber envisions a nonprofit business that will serve as a ministry to families of children with special needs. She looks forward to building relationships with her customers. Another way Amber offers support to other parents is through the Facebook page she created to share about Jordan’s condition. Part of what was so difficult when Jordan was diagnosed is that PWS is so exceptionally rare that no support groups existed. None of Jordan’s doctors had ever seen anyone else with the disease, and Amber couldn’t find other parents to talk to about it. When Jordan was five months old, Amber found two people who have PWS through a rare diseases website for Klippel-Trenaunay syndrome, which is similar to Parks Weber. 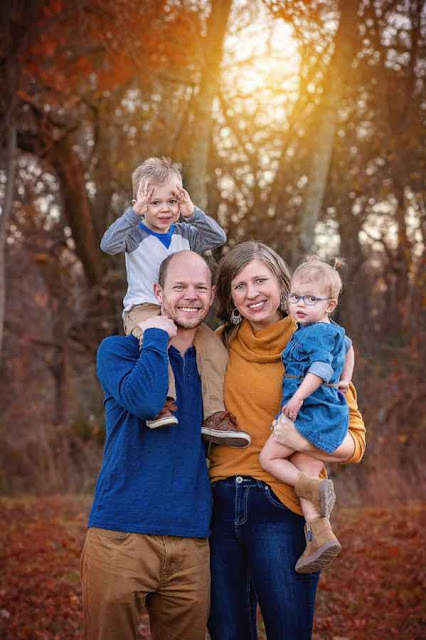 Now, they have created their own support group, and Jordan’s Facebook page is a place where Amber can connect with and encourage other parents of children with PWS. Amber is passionate about educating others openly instead of shaming those who want to know about Jordan’s differences. She believes that Christian women have often been taught to be silent for the sake of kindness but says it is not kind at all to silence children’s natural curiosity. When we shush children who ask innocent questions about others’ differences, Amber believes this unintentionally leads to prejudice. She believes in talking openly about differences and teaching children to see everyone as equally valuable. Amber has many stories about how she has seen God’s grace through her parenting journey. One such story occurred while Amber was pregnant with Jordan and had to see a specialist several days a week. She was working at the time and always felt rushed in going to doctor appointments. She had to walk across a sky bridge to get to the waiting room. The sky bridge became her sanctuary as she made a point to slow down and pray during that part of the walk to the doctor’s office. The doctor, who is not a believer, delivered Amber some surprisingly good news at an appointment one day and said, “Whoa, you must be praying for her. Keep doing whatever you’re doing!” She went back to work for a few minutes and then stopped to ask, “Can you pray for me too? Because your prayers are working.” She shared some of her story and her struggles, and Amber prayed for the doctor and her family. As Amber left and walked back across the sky bridge, she cried and praised God, saying, “Lord, you’re already using Jordan before she’s born.” Amber had faith conversations with the doctor at each of the many appointments over the next three months. Her hope in Jesus gave the doctor hope in her own life. Though some days are tough when Amber considers the challenges that lie ahead for Jordan, she knows that her family is on this journey for a reason. She now waits expectantly because she knows that God has big plans for Jordan, and Amber is excited to get to be a part of the journey. Nothing could have prepared Amber for parenting a child with PWS, but God was faithful in preparing Amber by teaching her to seek Him and study His word in the good times. When adversity comes, God often has not prepared us for the trial itself. Instead, we will find that He prepared us simply by teaching us to go to Him in the midst of the trial. God has transformed Amber profoundly through motherhood. Before, Amber worked hard every day to achieve and succeed in her personal accomplishments. Now, she tries to succeed in a totally different way. For Amber, success now looks like praying that somehow, in all of her shortcomings and sin, she might be a reflection of God’s love, kindness and gentleness in her children’s eyes. You can follow Jordan’s journey on her Facebook page here. Wow, thank you for sharing Amber and Jordan's story. Isn't it amazing how God can use the paths we wouldn't choose for so much good not only in our lives, but also in the lives of others? It is! His beauty for ashes never gets old! Thanks for reading! What a beautiful story! I love how God is using Amber in the midst of everything—how she’s letting God use her.